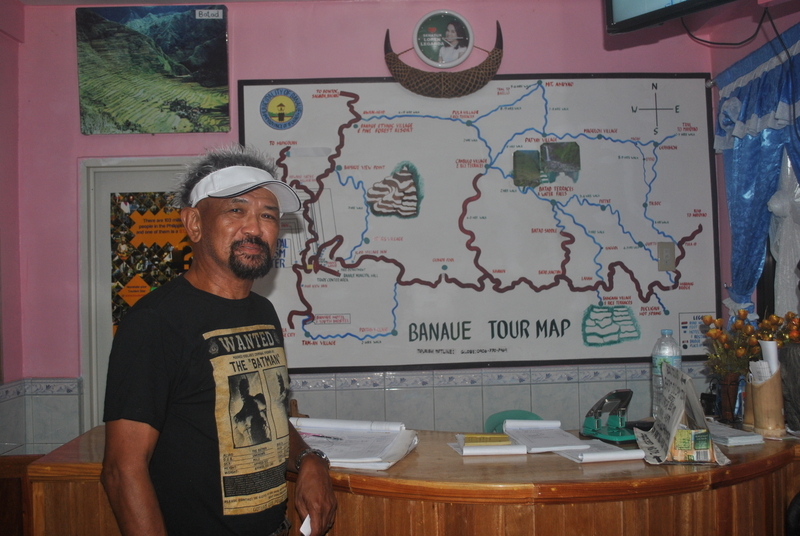 This survey and recon cover the portion from Tadian, Mountain Province To Banaue, Ifugao. It was my first time to travel along this route and the road was a paved one from Aluling Bridge to the Poblacion of Tadian, Mt Province. The vehicular traffic was limited to delivery trucks and some local jeepneys and motorcycles. Along the way, I was able to take some pictures of areas which I thought to be “markers” or “reminders” along the route. I was able to stop in one of the eateries along the way and after my lunch, I was able to talk to the owner of the restaurant. Walther Cayabas of the Backstreet Eatery was so kind enough to give me information which was told by his forefathers about General Aguinaldo’s trek to the Cordilleras. He said that the road in front of their place/eatery was part of the “Old Spanish Trail” and he was able to point to me a part of the untouched (unpaved) portion of the said trail which is located few meters from the road. I promised to Walther that I will be back for the actual trek and I will make his eatery as one of my “pitstops”. The food served were cheap and delicious with the local mountain rice served with the meal. Having known from my book that General Aguinaldo passed along Sagada, Mountain Province, I focused my attention on the road on the directional signs leading to the said town. After a few minutes of driving, I was able to reach the crossing of Sagada and the road that goes to Bontoc, Mountain Province. I was not impressed about Sagada. I felt that the place is too commercialized already for the tourists. I went to the Tourism Center and started to ask some information with the staff at the Center. 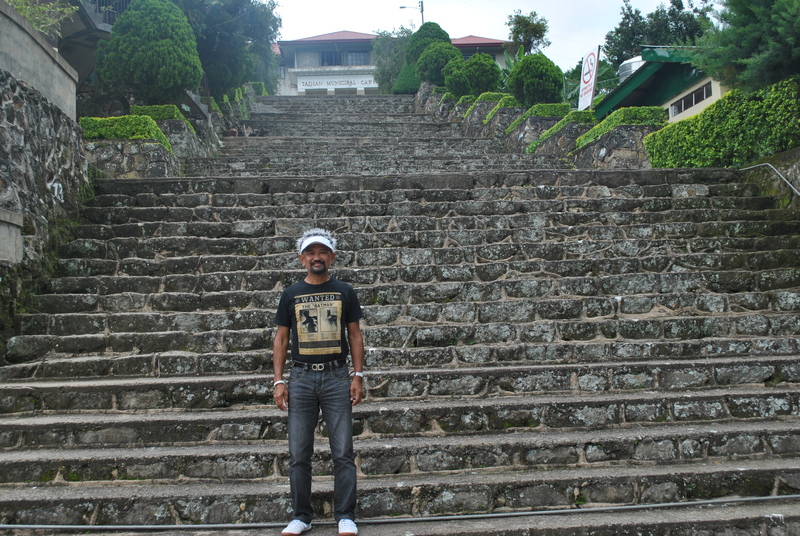 Nobody knows among the staff about the history or story if General Aguinaldo had ever set his foot in the town. The staff is even asking me a Tourism Fee of P 35.00 for being there in the place. The tourism guide and list of fees for us to visit their tourism destinations were very expensive. 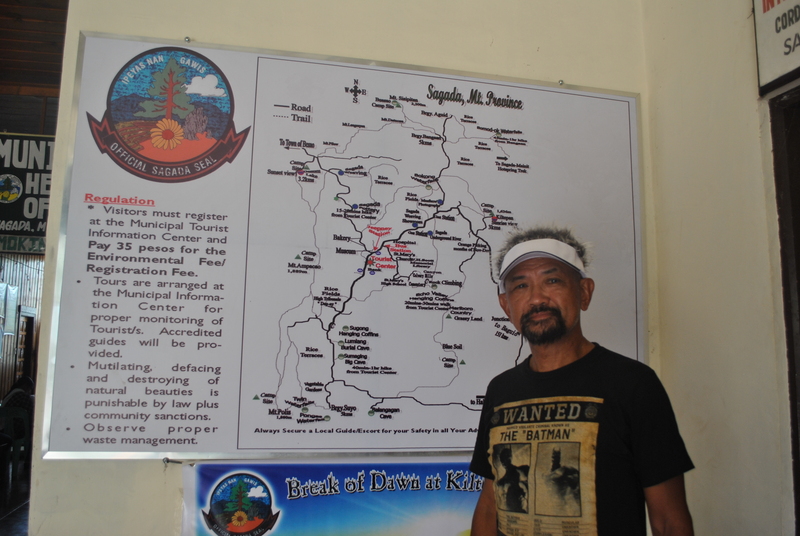 The least that I could do was to have my picture taken with the Tourism Map of the Town. For me, first impression and appearance of the Tourism Center gave me the impression that this place is too commercialized without giving attention to the amenities of a customer-friendly Tourism Center. It only took me 20 minutes to stay in the said town. 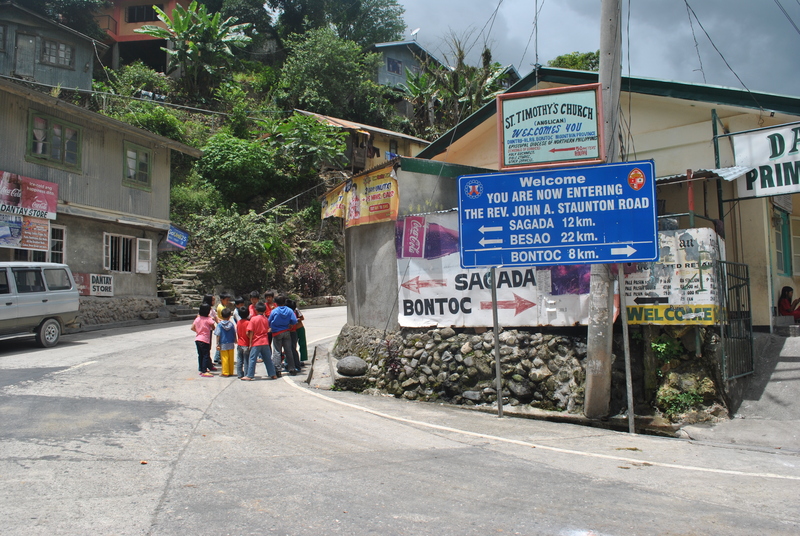 Hopefully, those road constructions along the road from the Bontoc Highway Intersection are all ready and done. It was time to have a refill on my gas when I reached Bontoc but unfortunately, as the gasoline boy was about to open my gas tank, there was a “brownout”! But looking on my Fuel Gauge, I decided to continue the trip hoping that I will be able to reach Banaue with few liters on my gasoline tank to spare. 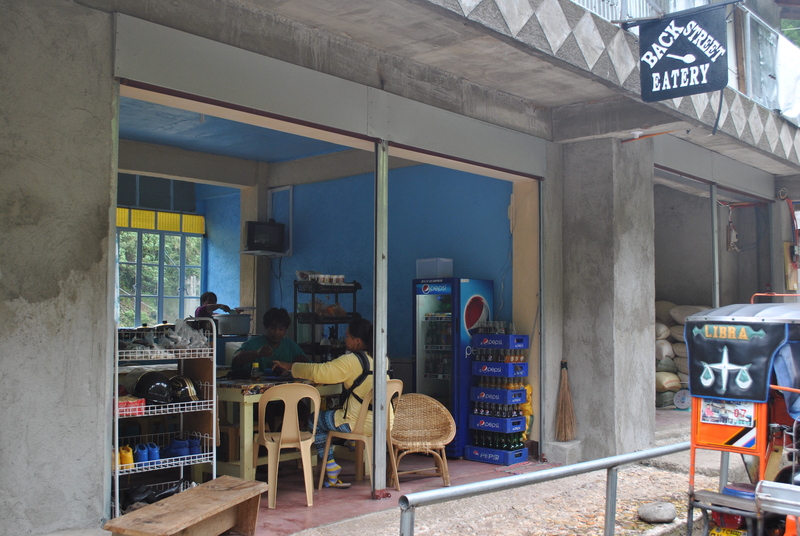 On impulse, I went to visit the Municipal Library of Bontoc. The staff thereat are very nice and accommodating. But sad to say, they don’t have any information or reference material on the historic event that happened or that depicts the travel and stay of General Aguinaldo in the place and its environs. The staff gave me the name and address of a well-respected “historian” in the place but it would be better if I would be able to talk to him with more time on another day. I made a promise to be back to talk with this local “historian” on my next visit to the place. 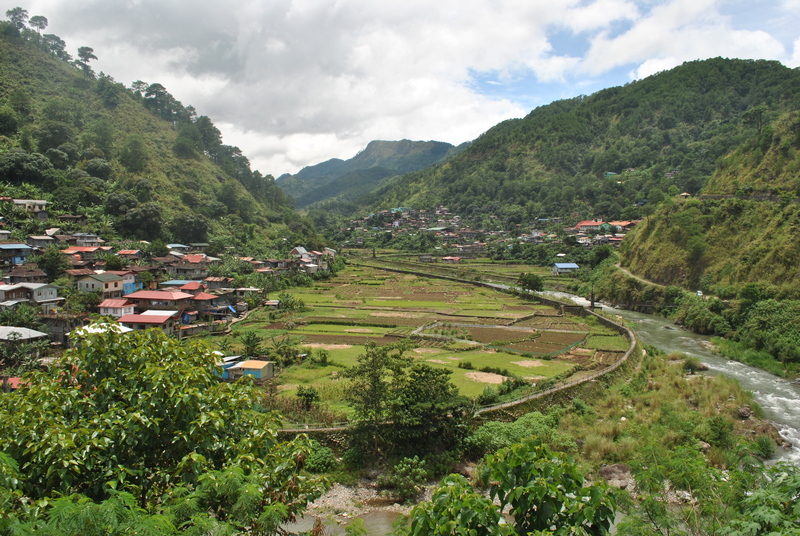 It was a slow ride from Bontoc to Banaue as I enjoyed every scenery along the way. But it was cut short when I entered the boundary of Ifugao Province as it became cloudy and footy along the road. 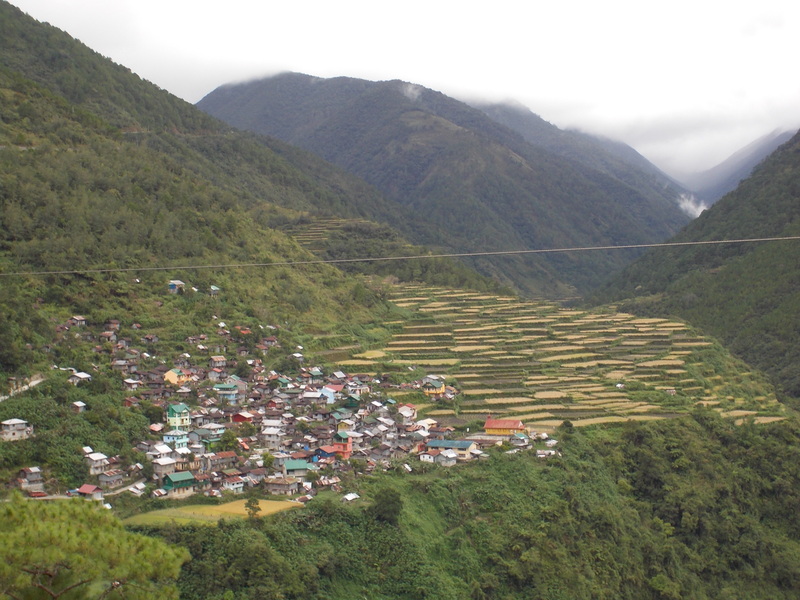 As I entered Banaue, it started to rain hard while driving my car slowly every bend, incline and decline on the road. I could only see road signs, the rain and the flowing water on the road as I entered the town of Ifugao. As my Fuel Gauge blinked with the yellow light, telling me that my Fuel Tank is about to be empty, I had to immediately take a stop on the first gasoline station on the road which is located two kilometers before reaching the center of the town. I was glad that the town had electricity! It was still raining hard when I finally reached the Tourism Center of the town of Banaue, Ifugao. 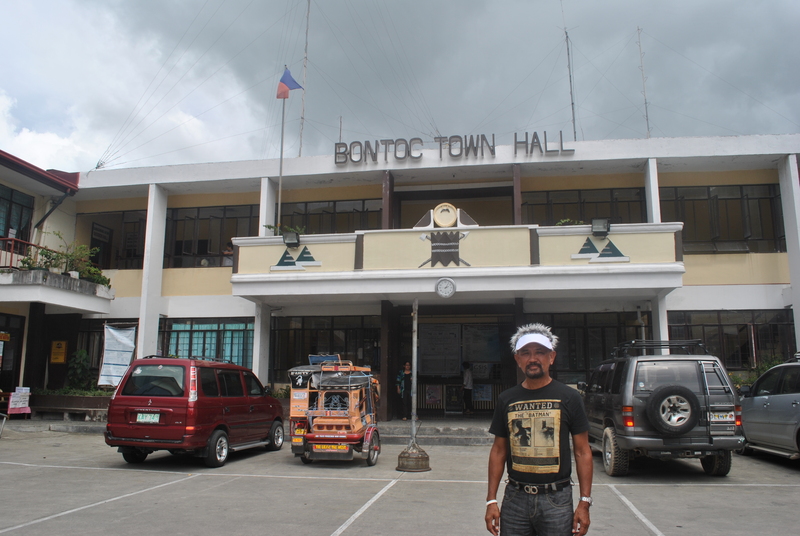 The distance from Cervantes, Ilocos Sur to Bontoc, Mountain Province is 56 Kilometers. 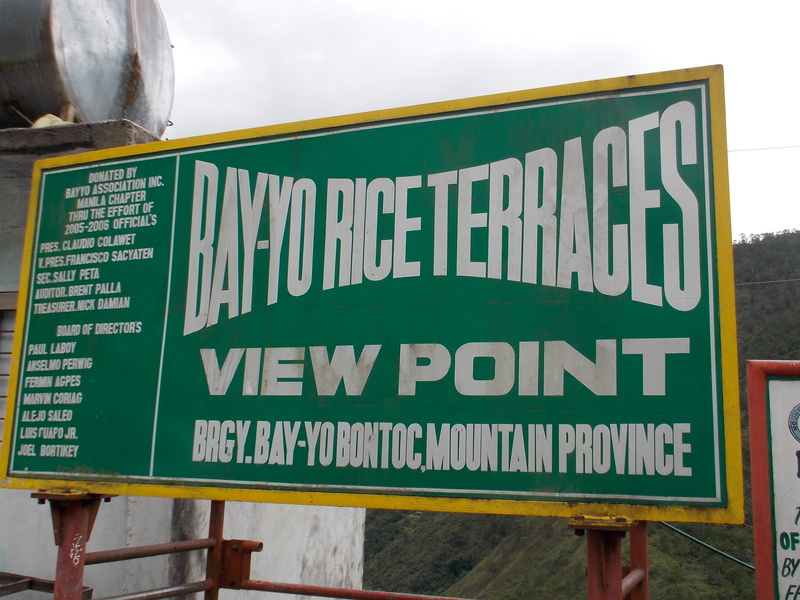 The distance from Bontoc, Mountain Province to Banaue, Ifugao is 48 Kilometers. Great view and route sir jovie. Safe trekking.